What does that kosher symbol mean on your morning box of cereal? Well, kosher or kashrut is a set of Jewish dietary laws, regarding what foods can be combined, which animals can be eaten, and more. General exclusions are pork and shellfish. Among consumers, there is a growing perception that kosher is safer and cleaner and thus overall better. Here are the basics so you can decide for yourself. According to kosher law, animals must be humanely slaughtered by specially trained butchers and raised with certain specifications. Dairy and animal foods are never eaten together. Kosher foods also have higher standards for production sanitation. So, how are foods koshered? Contrary to popular misconception, rabbis or other religious officials do not "bless" food to make it kosher. Food can be kosher without a rabbi or priest ever becoming involved with it. For example, the vegetables in your garden are kosher. Companies, on the other hand, have to go through a series of steps and inspections in order to become kosher certified. Certain animals may not be eaten at all including shellfish, pork, and other non-ruminants. This restriction also includes the flesh, organs, eggs, and milk of the forbidden animals. The only types of fish permitted are those that have both fins and scales. Of the animals that may be eaten, the birds and mammals must be slaughtered by humane methods dictated by Jewish Law and carried out by specially trained ritual slaughterers. Fruits and vegetables are permitted but must be inspected for bugs (which are not kosher!). Grapes are an exception; all natural grape derivatives have separate kosher considerations. Since wine has sacramental significance in Jewish ritual, Rabbis enacted laws regarding its acceptability and use. All natural grape products must come from grape juice that has been supervised from start to finish. Only these grape products can be certified and approved kosher. Meat cannot be eaten with dairy. Fish, eggs, fruits, vegetables, and grains can be eaten with either meat or dairy. According to some, fish may not be eaten with meat. Keep in mind that kosher dietary laws are observed all year round. Kosher is not a style of cooking. There is no such thing as "kosher-style" food. For example, Chinese food can be kosher if prepared in accordance with Jewish law. Traditional foods like knishes, bagels, blintzes, and matzah ball soup can all be non-kosher if not prepared in accordance with kosher law. When a restaurant calls itself "kosher-style," it usually means that the restaurant serves these traditional Jewish foods, but that they are probably not kosher. How Do You Know If Something Is Kosher? How do you know if a food item is kosher? Look out for the symbols. Star-K, (five-pointed star with a K inside). 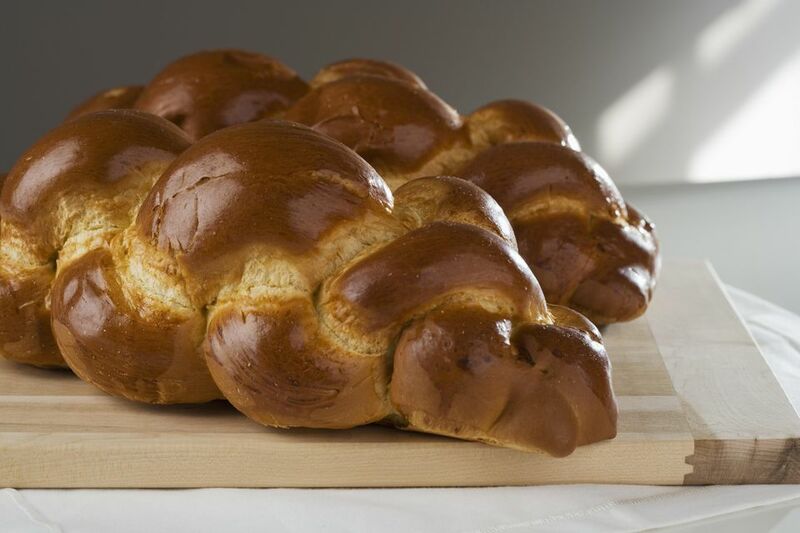 P is kosher for Passover, when diets exclude foods with leavening, spelt, barley, rye, oats, wheat, corn, rice, legumes.